September/7/11: MCHS Girls and Boys Cross Country at Fluvanna. 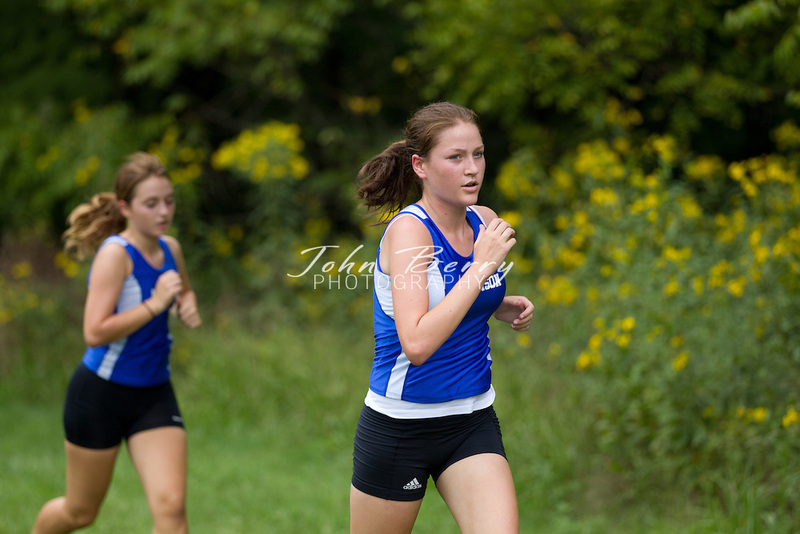 The girl's cross country team traveled to Fluvanna on Wednesday for a tri-meet with Fluvanna and Goochland. The girls had a second place finish...Leading the Lady Mountainners with 4th and 5th place finishes were Katie Berry (23:47) and Caitlin Shilan (24:31). They were followed by Sam Camilletti (27:29), Emily Carroll (28:55), Lauren Birkett (30:42), Ellen Berry (30:43), and Brooke Paramore (31:29). Lauren Birkett's and Ellen Berry's hard push at the end to get in front of two Goochland runners contributed to the ladies second place finish.